Advertise your farm food Herefordshire shop here for just £25.00 per annum! Your Herefordshire farm shop could feature here, in place of the graphic above. Contact us for further details. Farm food Herefordshire outlets can be found at various places where you can get farm produce direct from the farms. These farms often sell foods such as organic produce, organic meats, free-range eggs and a lot more. They also sell their fruit and vegetables, and other farm produce through farmers' markets, farm gate sales, pick your own and vegetable box schemes. 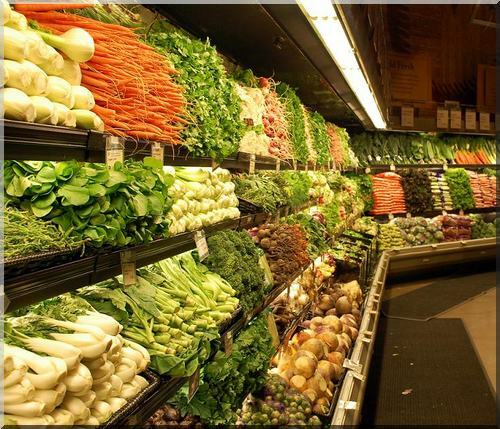 What you end up with is quality produce at a fraction of the cost you would have paid at the supermarket. This is good news for many who are trying to save money. For those who are worried about pesticides and artificial fertilizers being used on your food, by buying organic produce or farm food that is traceable, this problem no longer exists. Much of the farm produce that is offered through farm food Herefordshire shops has been grown organically which is definitely a healthier option. The farm shops are well-stocked often so well-stocked that they are like mini-supermarkets where you can pick up your fruit, vegetables, meat, milk, cheese, eggs, flour and wine all under one roof. Support your local farmers and buy at one of our farm food Herefordshire outlets below. Beaconhill Farm sells organic Jersey milk and ice cream. The ice cream comes in a number of delicious and unusual flavours; green apple and cinnamon, Christmas pudding, cappucino and vanilla. You can purchase these dairy products directly from the farm and you can also buy them from Farmers' Markets at Cheltenham, Tewkesbury, and Winchcombe.